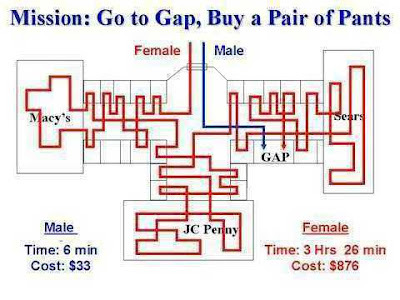 In terms of shopping, guys are just straight forward but about women? ?..i found something which is just as true as it could be. no offense hahaha..but if i go alone i will do my shopping quickly but if i'm wth friends it will take longer and i get bored to death waiting for thm to choose things thy like..i think i'm the opposite ! Prena, really?? but you are right.. you never know how much time you spent inside shopping mall unless you exit ? ?